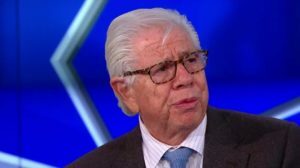 Matt Drudge is the “kingmaker” of the 2016 election, according to Watergate relic Carl Bernstein whose reporting helped bring down President Richard Nixon for offenses that now seem quaint. The veteran journalist is no longer a kingmaker himself and singled out the Drudge Report, which regularly averaged more than 1.5 billion page views per month during the campaign as having “unequaled influence” that facilitated Donald Trump’s rise to power. “One of the interesting things we’ve seen in this campaign is FOX has driven Trump’s candidacy less than Matt Drudge,” Bernstein told CNN. “The alternative universe of Drudge, alt-right, the different press and social media that we have seen almost dominate to some extent a big part of the electorate is a wholly new phenomenon,” explained Bernstein.